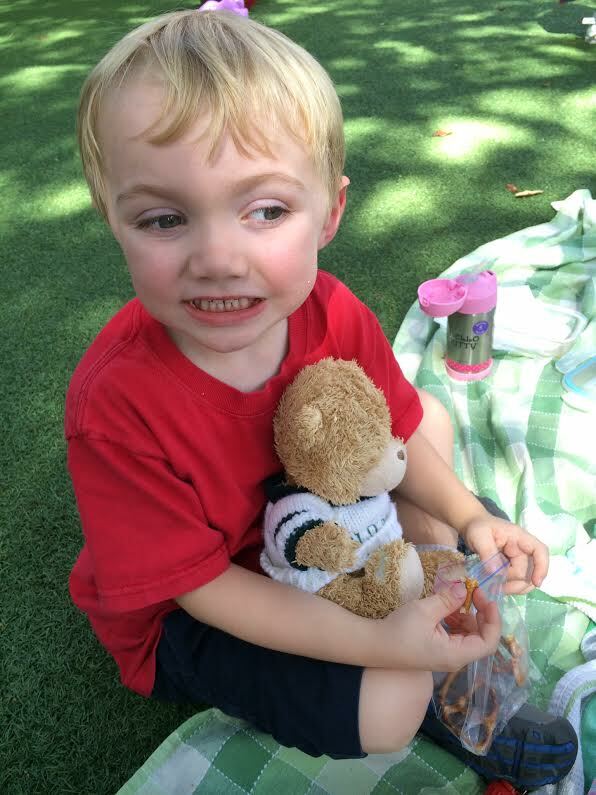 Last week there was a teddy bear themed picnic for our youngest son’s pre-k class. The courtyard at his school was all decked out for this event. It was simply adorable. Ben had a great time and brought with him, naturally, a stuffed bear from home to share in the fun. As you can see, pretzels were one of his favorite things to eat at this picnic. But what about you? What kind of foods do you enjoy most at a picnic? Then there’s all the stuff that makes the setting just right — blankets, fancy baskets with nice plates or just a big cooler with Chinet. You also have to decide where to spread out those blankets, and watch out for the ants! So that’s our theme for writing haiku this week — picnics and all the things, both good and bad, associated with them. 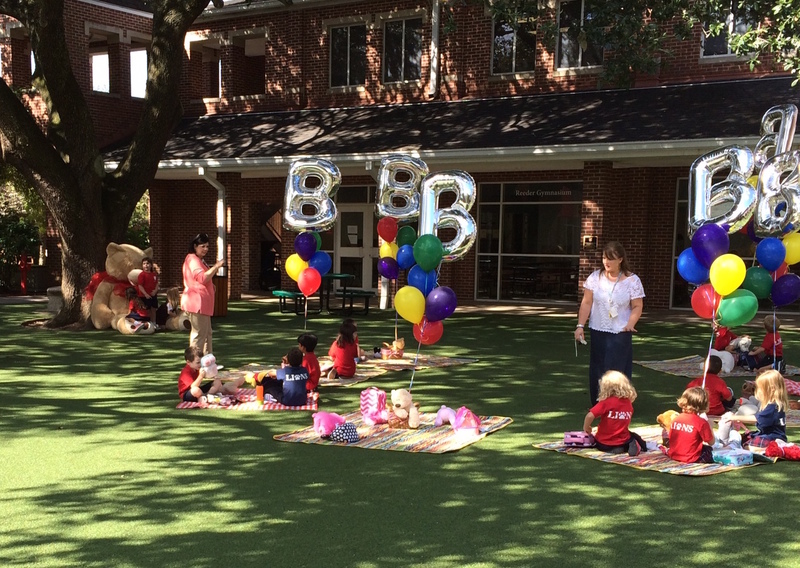 St. Mark’s teddy bear picnic. hot dogs, beer, and beach!